We bought the Inn in 2003, moving from Orange County, California with our daughter, Taylor. Everyone asks us why? We loved the Lakes Region and had been vacationing here for many years prior to making the move to Holderness. Our friends in Southern California, now understand and have come to love Squam Lake too! Our business has evolved over the past 13 years and we hope you enjoy what we have created; the friendly atmosphere, clean and comfortable rooms, and great food. We are extremely proud of our staff and they are all shining stars. They are such an important part of the Squam Lake Inn experience that we asked them to contribute to this page. We hope you enjoy meeting them during your visit! 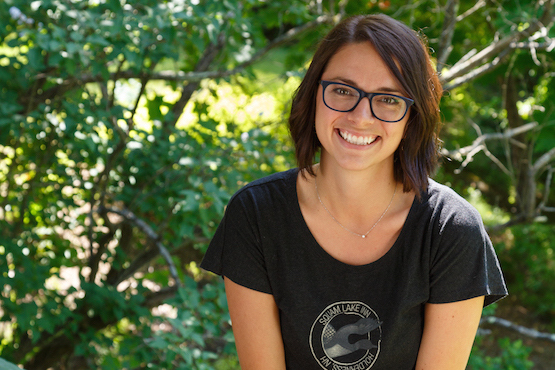 My name is Molly and I have been part of the Squam Lake Inn Crew since 2007. The Squam Lake Inn has become my home over the years and nothing makes me happier than allowing our guests to feel the same way! I love seeing our customers take a step back from their daily lives while in our small town and finding ways to make their stay memorable. If I’m not making you laugh at your dinner table or helping you plan your day on Squam Lake, I’m involved in another aspect of our business-event planning. No matter the occasion, I enjoy making celebrations come to life. Whether its at the Inn, our restaurant the Inn Kitchen + Bar, or off-site catering, my passion is to create an experience that sticks in our guests minds and keeps them coming back as friends! As Rae and Cindy’s daughter, I have been a part of our family business since we purchased the Inn in 2003. This means, that at one point or another, I have done every job imaginable! Currently, I am a Manager and Buyer at the MarketPlace. I spend my days preparing fresh food, providing excellent customer service, and seeking out new and exciting products for our speciality store! When I am not at the MarketPlace, I love creating delicious dishes using organic and local fare with Rae and the rest of the kitchen staff at the Inn Kitchen + Bar. 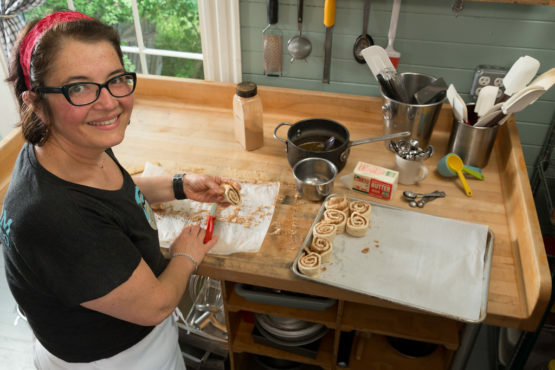 Some of the recipes that I’ve created can be found on our menus at the Inn or MarketPlace-if you try one of my cheese boards or bacon candy you are in for a real treat! 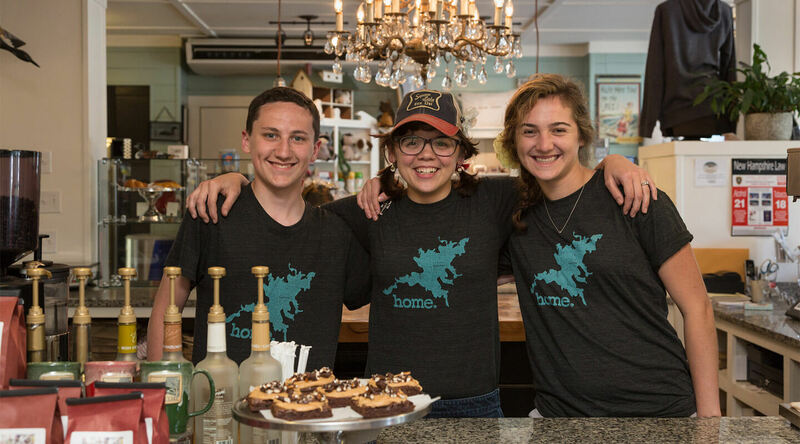 Food and crafting our family business into a community staple, for locals and visitors alike, is my passion. So, I look forward to welcoming you to Holderness with a smile, a coffee and a hope that you love our businesses as much as I do! I have been involved with the Squam Lake Inn doing one thing or another since it opened in 2003 and many people know me as “Rae’s Mom”. I am responsible for the bookkeeping and I work in the Red Barn, doing retail sales. The Red Barn has wonderful items and good prices. I shop there all season long because I know I can always find the perfect thing for whatever the occasion is. I also enjoy working in the kitchen. I have started culinary school this past January and look forward to using my new skills. I love being involved with all the employees and guests at the Inn. It is a “happening” place and all the locals and out of town guests really enjoy themselves when they are at the Inn. I have lived in the area for about 8 years and I feel very lucky to be here and part of this wonderful, caring community. Hi – I’m Tamara! 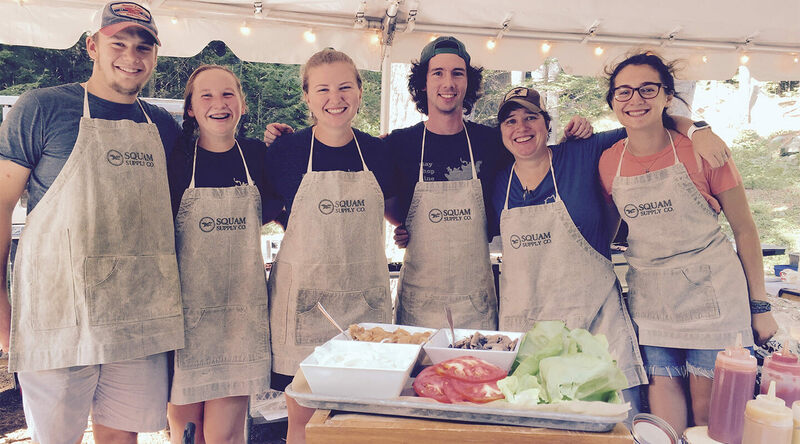 I joined the crew in 2015 as the baker at the Squam Lake MarketPlace. Providing our customers with delicious breakfast treats and daily sweets you will find in our bakery case is a tremendous joy for me. My current position at the Market is Kitchen Manager, taking on the role of serving you the best of the best and the freshest of the fresh. Our goal is to make sure that every customer is not only completely satisfied with their experience at our local establishment, but that they are going to come back and tell us how much they loved their food and look forward to their next visit! We are proud to serve our high quality sandwiches and salads using fresh, local, and organic ingredients. So, if you are off to enjoy an afternoon out on Squam Lake, take a local hike, or just plain hungry stop on by and be sure try our award winning BLT! I look forward to seeing you there! My name is Sarah and although you may see me ringing up your coffee at the Market Place or helping you check into your room at the Inn, my main role here is at our restaurant, the Inn Kitchen + Bar. 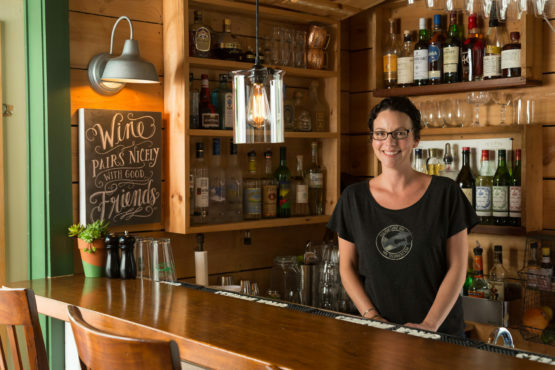 I have been part of the Squam Lake Inn and Marketplace family since 2015, and currently find my creative outlet as the bar manager. I grew up in the Lakes Region of NH and have been immersed in the hospitality industry most of my life. Travels have taken me all over and I can proudly say there is nowhere I would rather raise my family than on Squam Lake. When I am not behind the bar you can find me out in our herb garden, at our local farmers markets, or foraging somewhere looking for the next tasty ingredient for one of our “Local Garden Cocktails”. I take great pleasure in helping bring people together while keeping them well fed with a signature libation in hand. 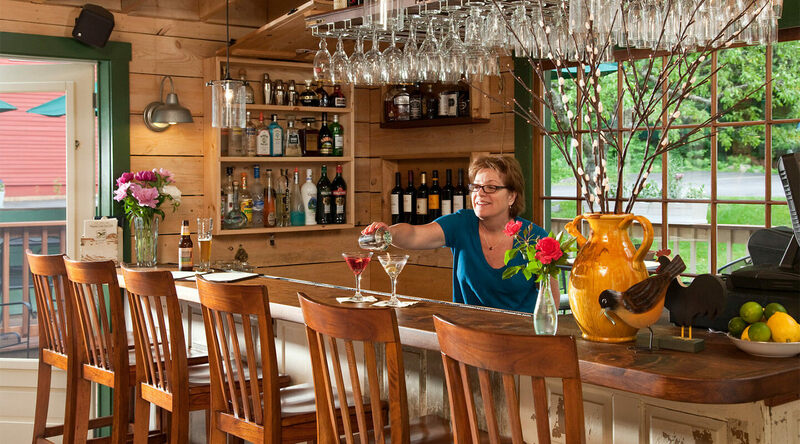 Once you step inside The Squam Lake Inn you immediately feel that sense of togetherness and become part of the family. We take great pride in the warm and inviting atmosphere we have created for our guests to unwind, converse, laugh, and dine. 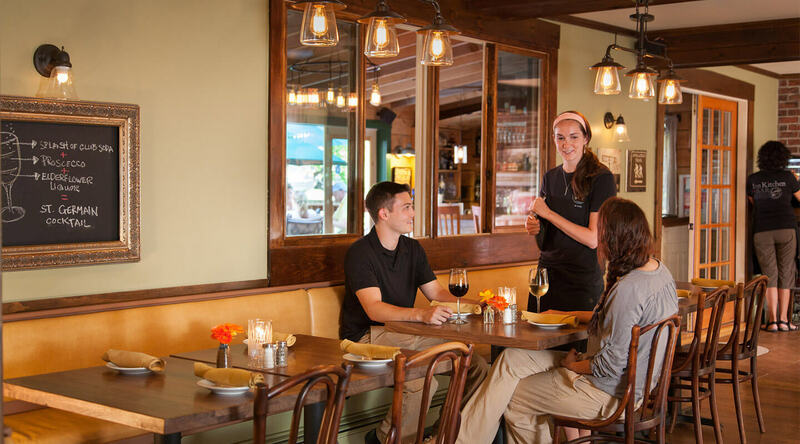 We love helping you make the most of your stay – don’t be afraid to ask any of our staff about some of their favorite things to do in the New Hampshire Lakes Region.